Landscapes composed of solid sections, as a jig-saw puzzle, are derivative of the elemental geometric morphologies and maintain the Bibel style. 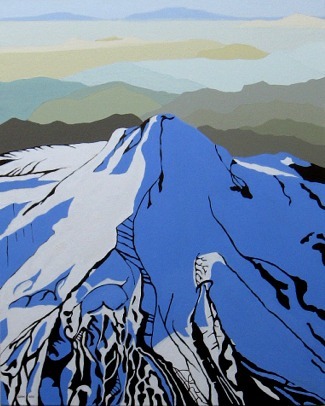 Mountainscapes are familiar to all; hence, these paintings have been well received by more viewers than the more difficult, intellectual abstractions. Sometimes electronic media geeks need to ground within nature from time to time. And for a student of Zen, mountain retreats are part of the lore and beckon the meditator with its pure, crisp air and expansive views. Mountains, the traditional abode of deities among all peoples, are power-forged geology. They tap deep spiritual human roots even today. Silent Roar (2007), 24 × 30 in. 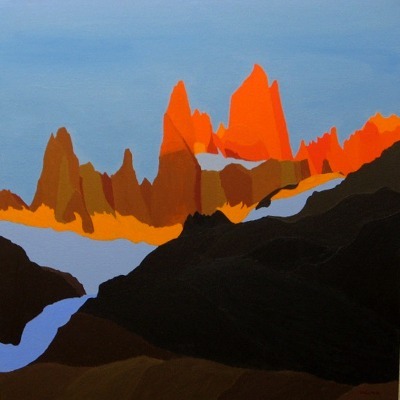 A New Day for an Old Planet (2007), 30 × 30 in. 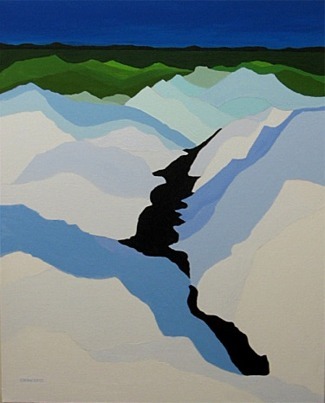 Upheaval (2007), 36 × 24 in. 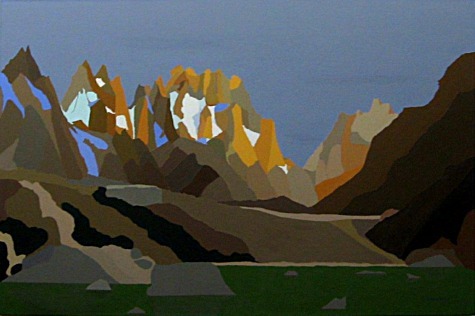 Lone Mountain (2007), 24 × 30 in. 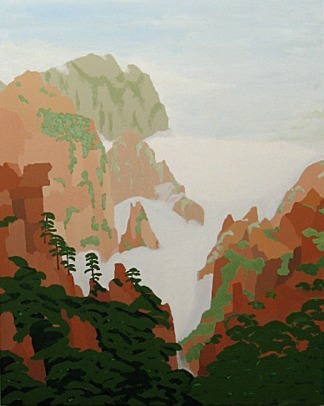 Huangshan Mountain High (Colorado Bounce), (2007), 24 × 30 in.